Keep those Spring Term reserve requests coming! With Spring Term around the corner, Library Reserves is processing print, media, and electronic materials for course work. We encourage you to submit your requests as soon as possible! We’re happy to generate a list of previously used reserve materials from past semesters, and we can also easily restore old EReserve pages — please let us know if these options will be helpful. 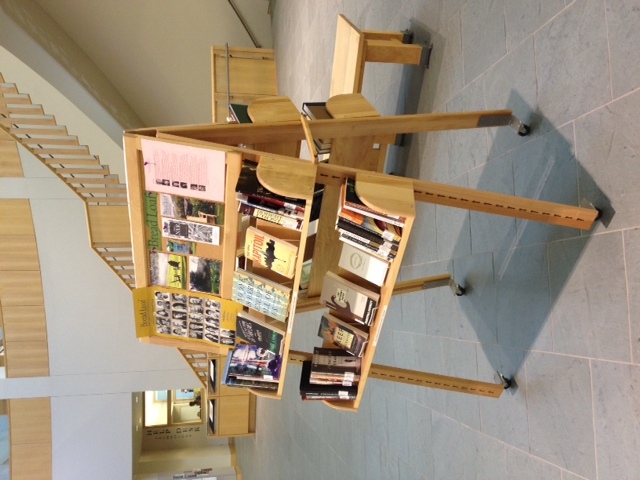 Email Library Reserves with requests and questions: libres@middlebury.edu. This is the best way to ensure a timely response to all Reserve needs. For more information on submitting reserve requests, please visit the Reserves Information for Faculty wiki page. Please don’t hesitate to be in touch! This entry was posted in Midd Blogosphere and tagged For Faculty, For Staff on January 24, 2014 by Kellam Ayres. This entry was posted in Midd Blogosphere and tagged For Faculty, For Staff on January 16, 2014 by Kellam Ayres. This entry was posted in Midd Blogosphere and tagged For Faculty, For Staff on January 7, 2014 by Kellam Ayres. This entry was posted in Midd Blogosphere and tagged For Faculty, For Staff on October 9, 2013 by Kellam Ayres. This entry was posted in Midd Blogosphere and tagged For Faculty, For Staff on September 16, 2013 by Kellam Ayres. This entry was posted in Midd Blogosphere and tagged For Faculty, For Staff on September 17, 2012 by Kellam Ayres. 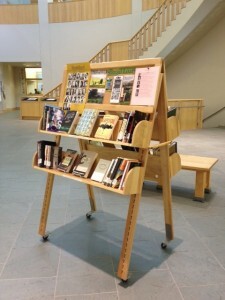 The Bread Loaf Writers’ Conference has ended, but books by the participating faculty, fellows, and special guests are now available for browsing at the Davis Family Library . Please feel free to stop by the Library lobby to borrow and enjoy these wonderful books. Recorded lectures and readings from the Conference are also available via the College’s iTunes U site. This entry was posted in Midd Blogosphere and tagged For Faculty, For Staff on August 29, 2012 by Kellam Ayres.